Operation Peer Support (OPS) is a program designed by the Blinded Veterans Association to assist blind and visually impaired veterans and their families with educational resources and adaptive sports in order to regain independence, social skills, and confidence through rehabilitation. On December 2, 11 blinded veterans ran amongst the 48 blind and visually impaired runners during the California International Marathon. 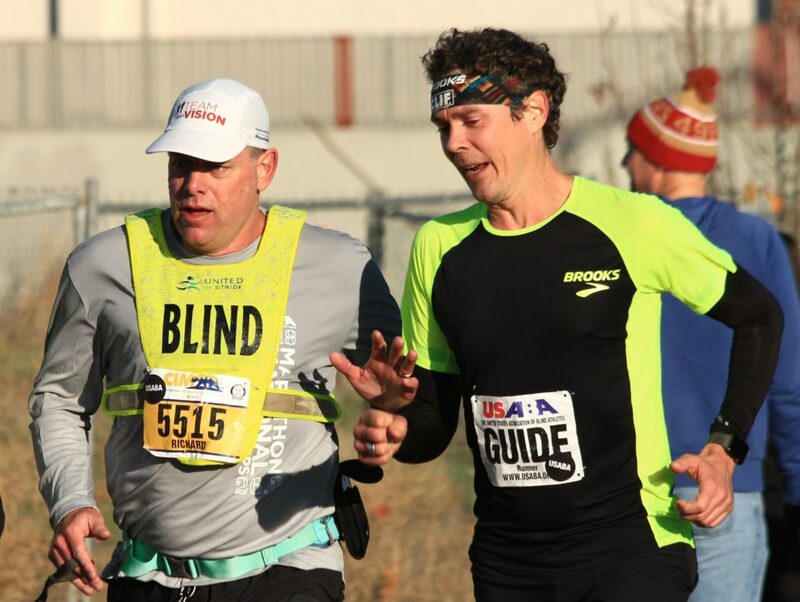 Here a blinded runner is shown with his Guide approaching the finish line. 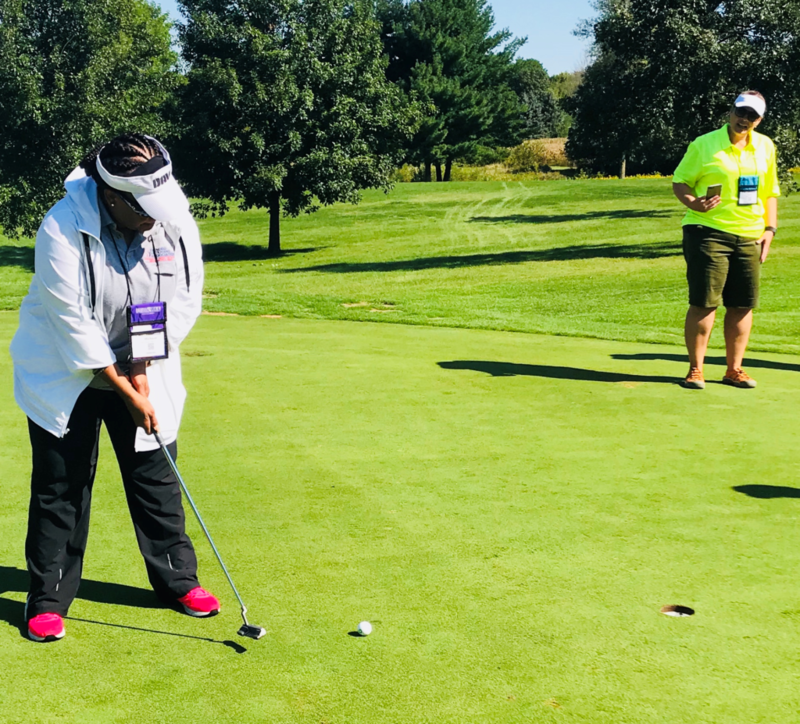 Michaun Harrison attempts a putt during the National Disabled Veterans Tee Tournament held September 9-14, 2018. Q: What is Operation Peer Support? A: An ongoing effort to link recently blinded veterans with other OIF/OEF blinded service members and their counterparts from previous conflicts. Operation Peer Support’s highest priority is to assist these men and women through the process of adjustment to vision loss by introducing them to and connecting them with the tools and resources they will need to establish new goals. 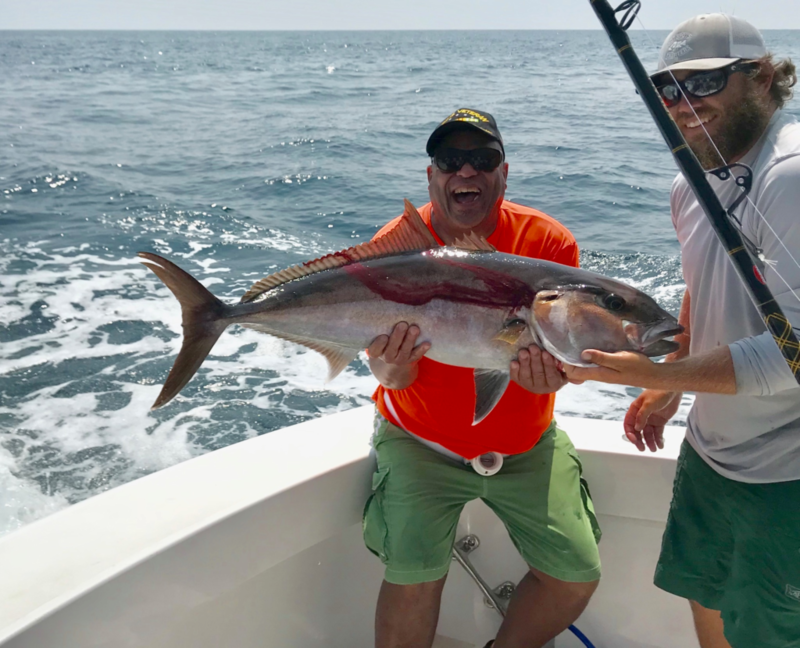 “Blinded Veterans Helping Blinded Veterans” is the Association’s motto and serves as the ideal in its advocacy efforts on behalf of all blinded veterans. Q: What is the benefit to the newly blinded veterans? A: Physical and emotional isolation is a huge issue for those who have only recently lost their eyesight. The process of recovery from any tragic or traumatic event is characterized by a period of grieving followed by rehabilitation and restoration. The life cycle of a wounded soldier often consists of six states: injury, treatment, rehabilitation, evaluation, transition and maintenance. Substantial changes are required as a result of such shattering events before a meaningful and productive new life can be achieved. Similar to the grief experienced by people following any catastrophic event, blinded veterans must also grieve over their loss of vision. The veterans attending the BVA convention meet with other OIF and OEF veterans who are among the few who understand what they are truly going through. They will also be able to meet veterans blinded in World War II, Korea, and Vietnam. They will hear and gain strength from their experiences. Throughout the process, BVA will be there in a variety of ways, but primarily through its Veteran Services Program, to help service members and their families along the way. Q: How many troops have suffered eye injuries in the Global War on Terror? A: Exact numbers are hard to come by but 4,790 service members with penetrating eye injuries have been evacuated from OIF and OEF operations as of November 2008. The long-term consequences of these injuries are still unknown. More than 500 have eye injuries that classify them as low-vision. According to VA Blind Rehabilitation Service, at least 140 of these are legally blind as of May 2009. The Army in March 2008 reported that 395 service members had been blinded in one eye. The statistics on Marines and those in other branches of service have not yet been disclosed. Q: How can groups and individuals in America help a blinded OEF or OIF veteran? A: Tax-deductible donations can be made directly to the Blinded Veterans Association by mail or phone by credit card. BVA can also be reached at 800-669-7079. Please help these brave American service members and family members get the support they need from fellow blinded veterans. The organization is a 501(c)(3) organization, ID #53-0214281.